When Warner Bros. announced its DC Comics release slate earlier today, the official announcement also included the official release schedule for three new LEGO movies (Ninjago, The LEGO Batman Movie and The Lego Movie 2), set for release in 2016, 2017 and 2018 respectively, and confirmation that Fantastic Beasts and Where to Find Them will become a trilogy, with each movie debuting in 2016, 2018 and 2020. Take a look at the excerpt from Warner Bros.' official press release, then read on for more details. Warner Bros. Pictures will release three LEGO-branded films over the next four years, building upon the enormous success of this year's The Lego Movie ($468 million worldwide box office), starting with Ninjago in 2016, directed by Charlie Bean and produced by Dan Lin, Roy Lee, Phil Lord and Chris Miller. Batman will take a star turn in The LEGO Batman Movie in 2017, directed by Chris McKay, and the sequel, The Lego Movie 2, will debut in 2018. 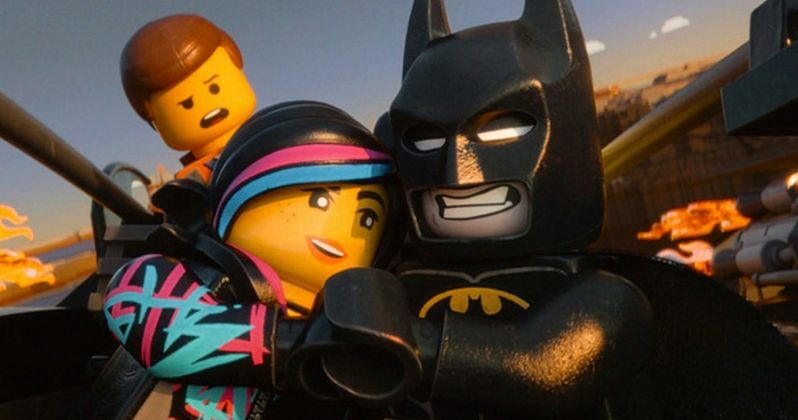 All three of the LEGO movies, Ninjago, The LEGO Batman Movie and The Lego Movie 2, have been previously announced, with news of The LEGO Batman Movie coming less than one week ago. The Lego Movie 2 will likely take the May 25, 2018 release date that was announced in August, with Ninjago already slated for release on September 23, 2016 and The LEGO Batman Movie likely taking the May 26, 2017 release originally slated for The Lego Movie 2. The August announcement also revealed that yet another LEGO will be released on May 24, 2019, which could be a sequel to either Ninjago or The LEGO Batman Movie. As for Fantastic Beasts and Where to Find Them, the first movie has already been given a November 18, 2016 release date, and it seems likely that the second and third movies will come out on November 16, 2018 and November 20, 2020, the dates Warner Bros. staked out in August for two "WB Event Films." Warner Bros. CEO Kevin Tsujihara revealed in March that Fantastic Beasts will be a trilogy, describing them as three "megamovies" set within the expansive Harry Potter universe, several years before the young wizard first arrived at Hogwarts.